Trade Guest Post with Us! Copyright © 2017, TopTenProducts.com. All rights Reserved. Concealers helps to hide unattractive under eye dark circles and puffiness, knowing the right way to apply it and choosing a proper product is the key to make you get a flawless complexion. Also concealer is a useful tool when you contouring. Here I offers a helpful guide for reference. It figures out those different formulations available and some common concerns and how best to tackle them as well. Speed up the process of healing while looking your best with Boo-Boo Cover Up Medium from Boo-Boo Cover-Up. With components such as aloe and Vitamin E, this product also encourage the healing of wounds. You get a two for one result, making this product particularly potent against acne and other spots. A creamy concealers with SPF 20 protection that hides imperfections and diminishes the appearance of dark spots and discolorations. As an added bonus, this comes equipped with a sun protection factor of 20 as well! This means that it also provides your skin a good amount of protection when outside. Neutrogena SkinClearing Blemish features MicroClear technology to quickly reduce the appearance of blemishes for clearer-looking skin. 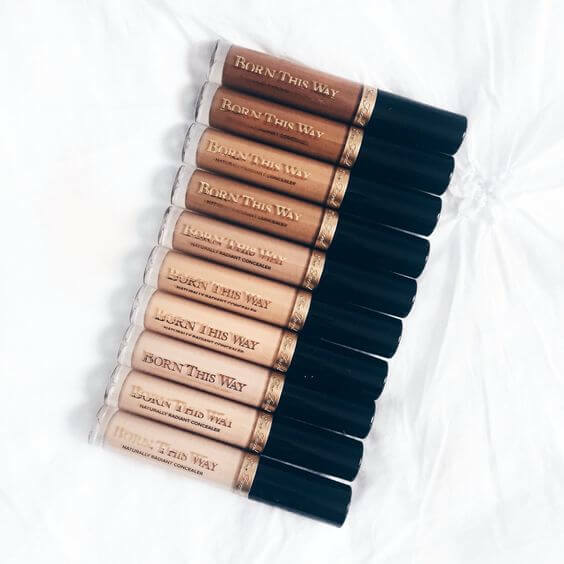 This concealers is definitely an products that you want in your makeup bag. Due to its small size and easy application features, you can apply it very easily. ALMAY clear complexion concealers with BlemisHeal Technology which contains salicylic acid heals and hints blemishes for an even complexion. This Almay concealers is hypoallergenic and works well with skin that is easily irritated. Revlon PhotoReady Stick Concealers acts like illuminator for daytime usage. This item also contains SPF which is quite useful if you are someone who spends a great deal of time in the sun. Due to its consistency, you will be able to utilize it for a long time without running out. Maybelline Cover Stick Concealers completely conceals blemishes, dark circles and other imperfections. As an added bonus, the Maybelline concealers is also waterproof. This means that this product will stay on your face regardless of the weather or the conditions. L’Oreal True Match Super Blendable Crayon is a new range of chubby concealer pencil that will be hitting drugstores shortly. After that, you can simply blend in the concealers on your skin. You will end up with skin that looks smooth and beautiful, completely natural, and just like your original skin tone. CONS Natural Paste for Blemished Skin CONS Fair Beige is a robust coverage concealers that can also be used as a foundation. In additional, Jojoba seed oil, shea butter, and safflower seed oil help to make the paste look as close to your skin composition as possible. Testing, writing and sharing everything terrific for female. Fill my everyday with skincare, fashion and fitness. Copyright ©2017, TopTenProducts.com. All Rights Reserved. TopTenProducts.com is a participant in the Amazon Services LLC Associates Program, an affiliate advertising program designed to provide a means for us to earn fees by linking to Amazon.com and affiliated sites. Top Ten Products participates in various affiliate marketing programs, which means Top Ten Products gets paid commissions on purchases made through our links to retailer sites.